One of the best things about living in the Midlands is the choice of places to visit. We lived in St Ives for a short while ten years ago. 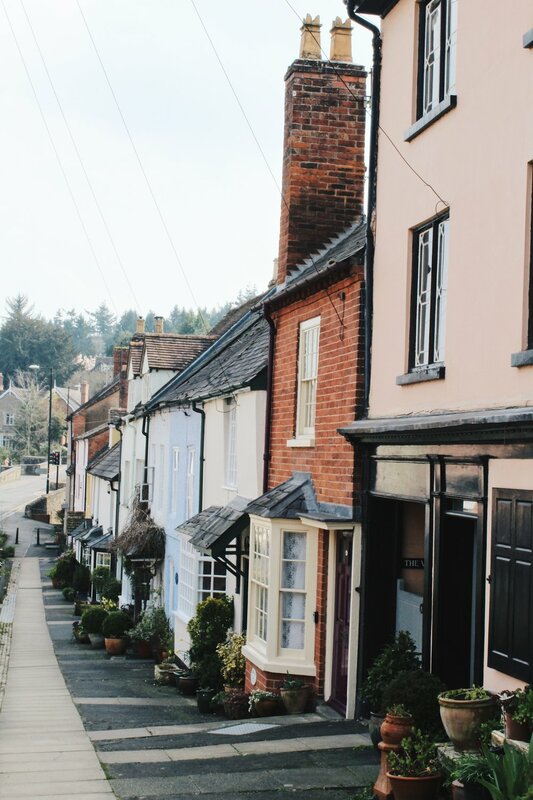 We are often asked why we moved back to the Midlands and one of the reasons was that we missed having access to cities, mountains, border towns and The Cotswolds. We love the coastal paths of Cornwall but longed for something different after a while. 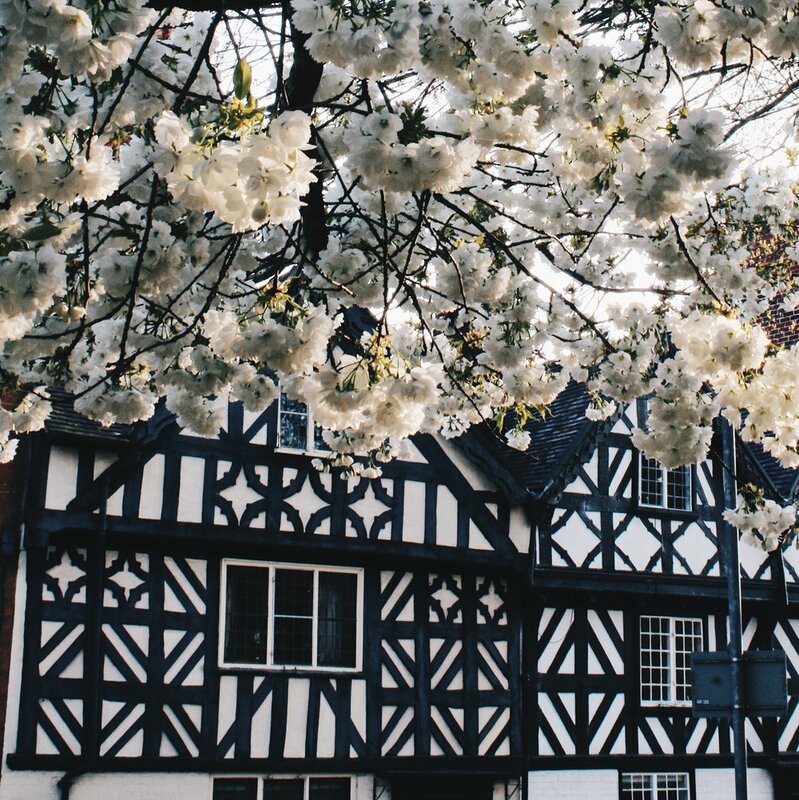 One of our favourite places to visit for the day is Ludlow. Such a beautiful, historic town near the Welsh border. Every time we visit I am always struck by the beauty of the old buildings and the landscape around the river. I am going to write a series of posts about my favourite places to visit and what I love to do when we visit there. My plan for the perfect day there and how to make the most of your time in these special places. Our family days out always revolve around when and where we are eating. We love a good cafe and The Green Cafe is one of the best. 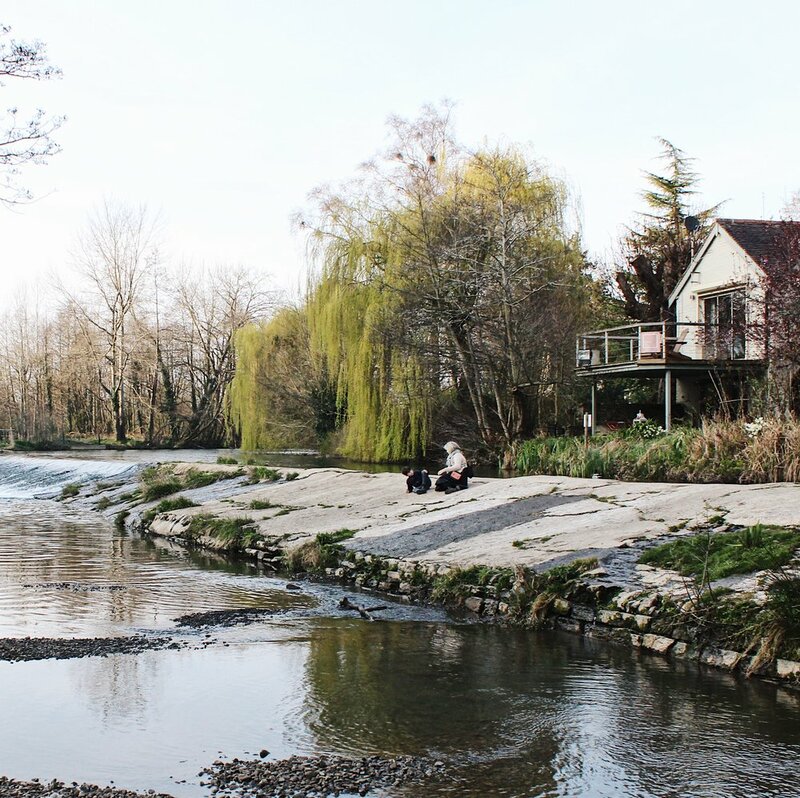 It serves amazing, seasonal food, has attentive and friendly staff and is situated on the river Teme. It is always busy and booking is advised. 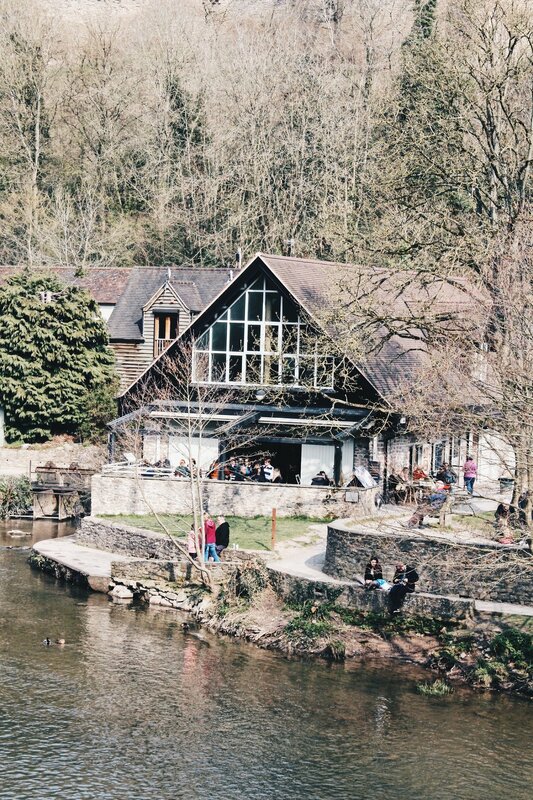 There is a take away hatch that serves coffees and cake that you can eat by the river. We park at Ludlow Rugby Club which is situated behind the cafe just so we can start our day with a visit here. It is a car park worth knowing as Ludlow can be tricky for parking. We start our day sat outside the cafe drinking cafe and eating cake. Our son loves to play in the river. With a pair of wellies on it is possible to wade through the water to a small island where children can play. In the summer people swim in the river and we have seen salmon jumping up the weir in October. Ludlow sits on the river Teme and from the Green Cafe you can cross the bridge to the other side of the river to walk into town. This is not a long walk but the scenery is varied and stunning no matter what the time of year. Cross the bridge from the Green Cafe to the other side of the river to start your walk into town. The castle overlooks the river and makes a stunning backdrop in comparison to the trees on the other side. 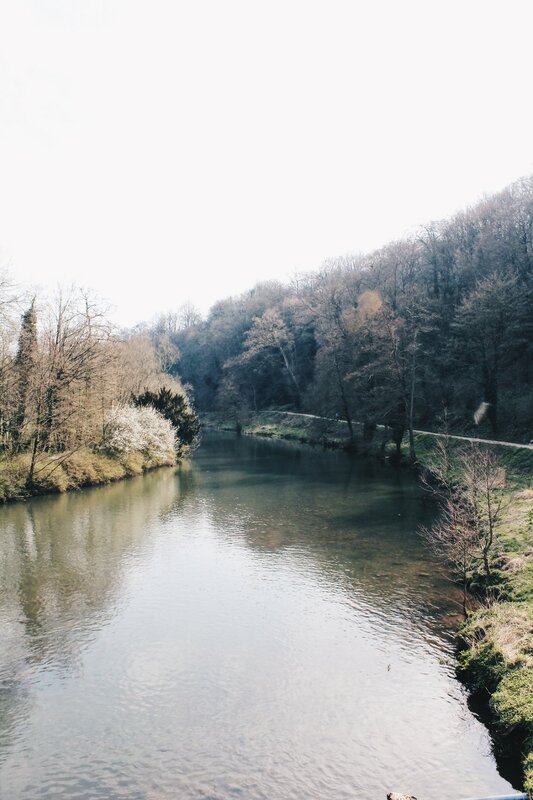 The tranquil view of the river Teme. You could be anywhere. It’s such a lovely walk. The still water before the weir. Imagine living in that house! Once the river brings you back to the town you turn left, crossing a bridge. You then walk up a hill past rows of beautiful, historic and colourful houses. Everywhere you look there are stunning homes, lovingly restored and maintained. For such a small town there are lots of lovely shops to choose from. There is the brilliant Harp Deli; The Silver Pear for a wide range of gifts and children’s clothes and toy and Black Bough sells sophisticated gifts , stationery and books. There are many other fabulous shops selling items old and new plus there is a great market most Saturdays. There is also Twenty Twenty Gallery which had three floors of really wonderful ceramics and paintings. This is just in the centre of the town but if you walk down the hill on the other side there are more more independent shops. The wonderful Harp Deli. There is also a wonderful grocer and cheese shop up this side street. 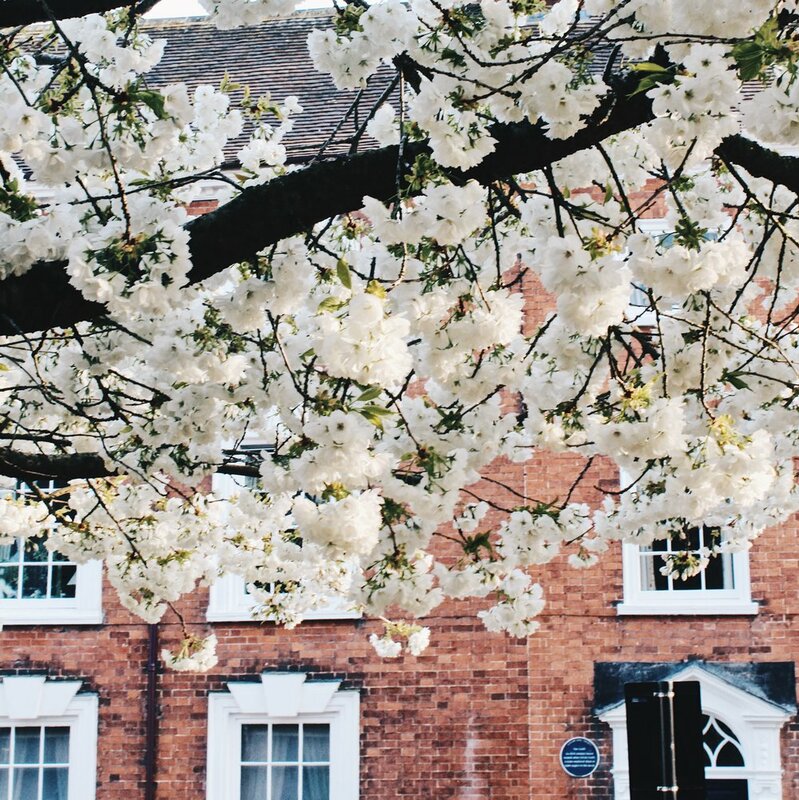 Make sure you explore all of the nooks and crannies of Ludlow or you might miss gems like Twenty Twenty Gallery and the best cafes and restaurants. 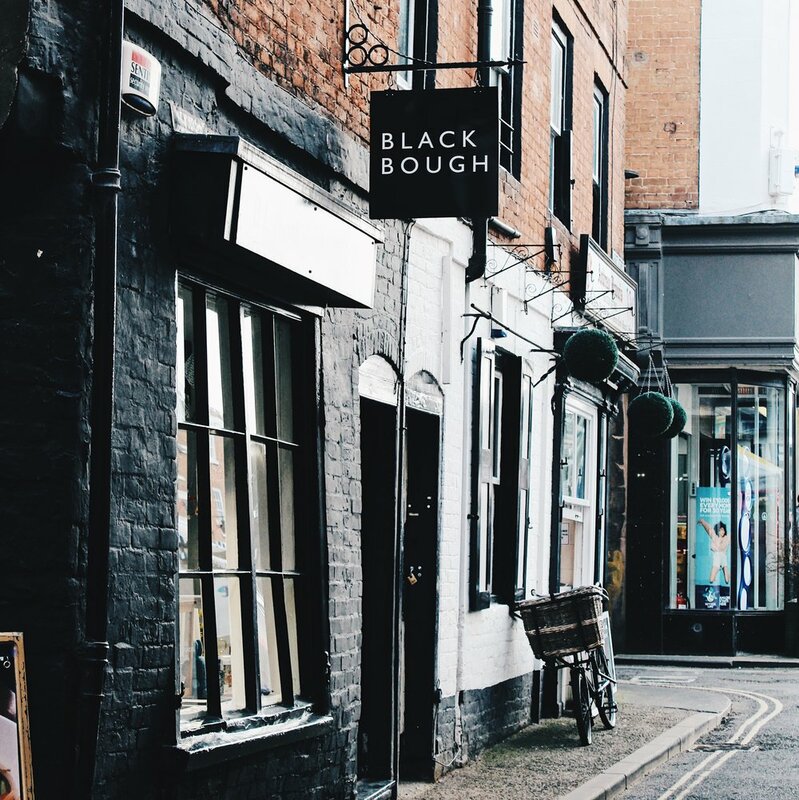 Make sure you visit Black Bough. I always want to buy everything. 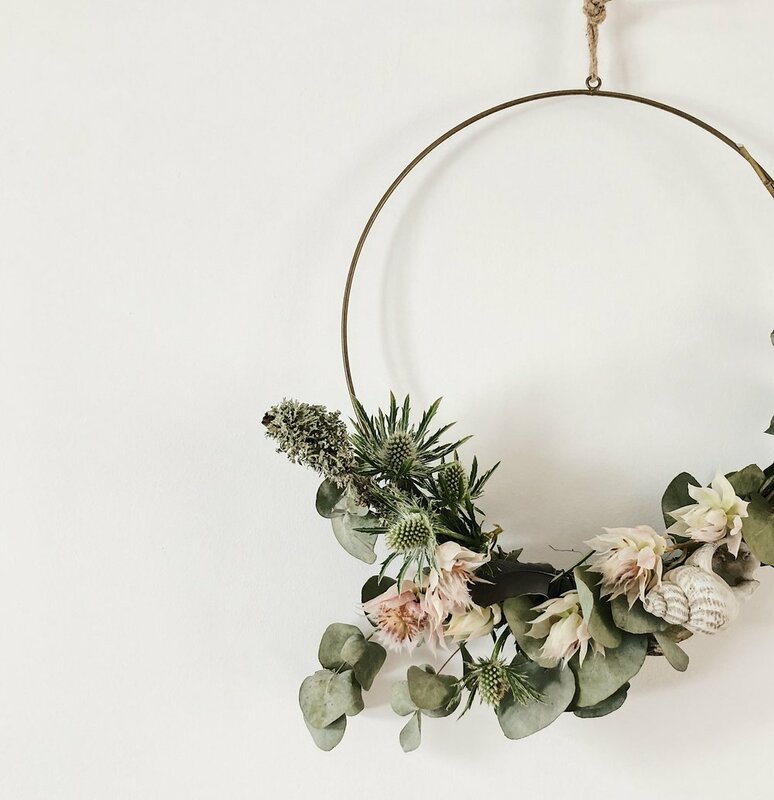 They sell Hay designs, beautiful books and other sophisticated bits you didn’t know that you need. The market that is in the square in front of the castle. There are a variety of stalls including vintage, plants, vegetables, food and textiles. Ludlow also offers a wealth of places to eat and drink. It has tried to remain independent over the years but a couple of chains have managed to sneak in. There are the quaint Fish House and Smokehouse Deli and Cicchetti Bar. We couldn’t persuade our 8 year old to have oysters and the Cicchetti Bar was full but these places are definitely on our list to visit. The authentic Cicchetti Bar. This cafe and deli is very highly recommended and somewhere I really want to visit next time we come to Ludlow. Booking is essential. At the top of the town is the castle surrounded by more beautiful and substantial buildings. There is Dinham Hall where I would love to stay one day. We didn’t go into the castle this visit as we have been before but I think we will return for the food festival that is held in there in September. The stunning DInham Hall. A luxurious hotel and restaurant. From the castle we walked back down the hill that runs around it to the Green Cafe. This is a steep hill and yet again offers gorgeous views. One of the quaint cottages that are on the way down to the river. It would be such a lovely place to live. We did hope for another coffee from the cafe when we got there to end our day but we were too late and they were closing up. We had to settle for a little paddle in the river and to sit by the weir and listen to the sound of the water. Us sat on the barrier that leads to the weir. The building behind is the luxury accommodation of DInham House (previously Mr Underhill’s). It looks absolutely stunning and we would really love to stay here one day. Imagine eating your breakfast on that balcony! Finally we ended our day on the park next to the car park. It is overlooked by the castle and has some excellent items for the children. Baxter’s favourite was the zip wire but there is a clean sand pit, swings, climbing wall and this great slide. This is surely one of the prettiest parks in England. How many others have a castle in the background? So they are my recommendations for an afternoon in Ludlow. We walked from The Green Cafe, along the river into the town, up to the castle and then back down to the cafe. The walk along the river took approximately half an hour and is fairly flat so suitable for pushchairs but the hill back into the town is fairly steep. The rugby club car park is pay and display but there are some free toilets (you have to pay 20p for the toilets by the town car park). If you have longer in Ludlow the castle is definitely worth a visit too. 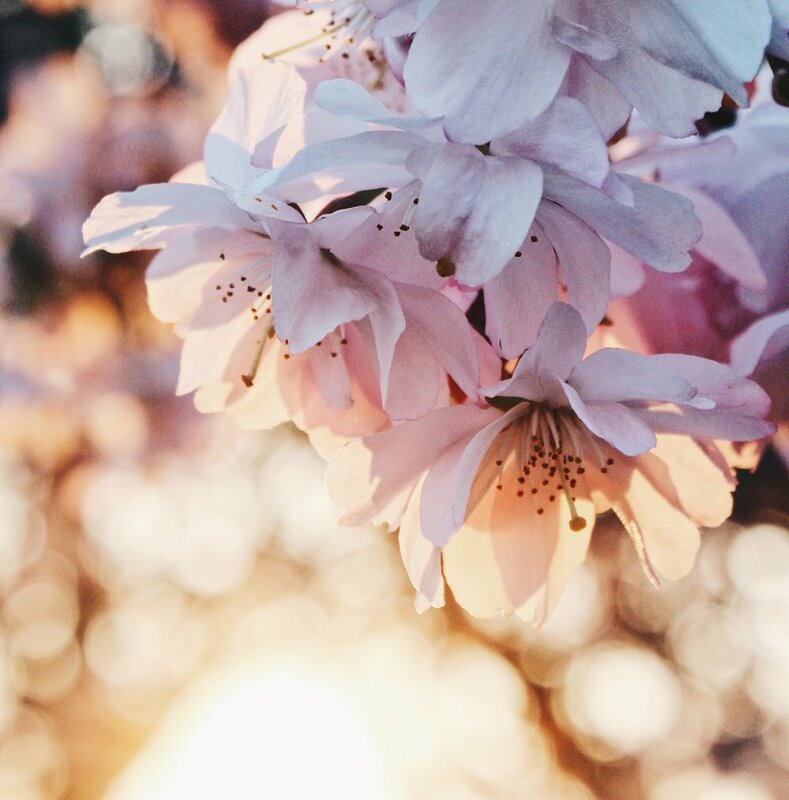 I hope you have enjoyed my blog post. I’d love to know what you think and if you visit Ludlow let me know what you think.